The Flight Design CT2K is a single engine, two-seat high-wing ultralight aircraft. The Flight Design CT2K is made in full composite construction and is powered by Rotax 912/912S engine. The Flight Design CT2K is a product of Flight Design GmbH based in Germany. Production of the high-technology, carbon-fiber CT (Composite Technology) ultralight aircraft started in 1997.The Flight Design CT was a striking appearance with the largest cabin in its class. The CT2K (2K for the year 2000) was a further development of the CT and introduced in 1999 to comply with UK microlight regulations. On 30 September 2003, the CT2K was the third of all certified planes in Germany which has received the new German LTF-UL 472,5 kg certification that was announced on 30 January 2003. Production of the airframes takes place in the Ukraine; since 2008 assembly of the airframes and the final production of the aircraft takes place in the factory in Kamenz in Germany. Almost 2000 CT aircraft are delivered worldwide by Flight Design GmbH. 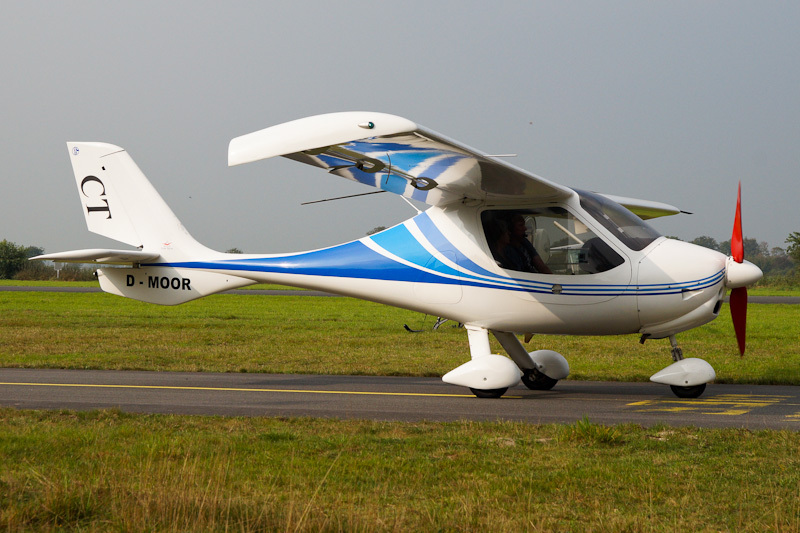 On 3 October 2014, the 2006-built Flight Design CT2K D-MOOR was seen at Flugplatz Leer-Papenburg in Germany. On 2 May 2015, the aircraft was substantial damaged after the plane overturned during an emergency landing into the safely strip of Leer-Papenburg due to engine problems.